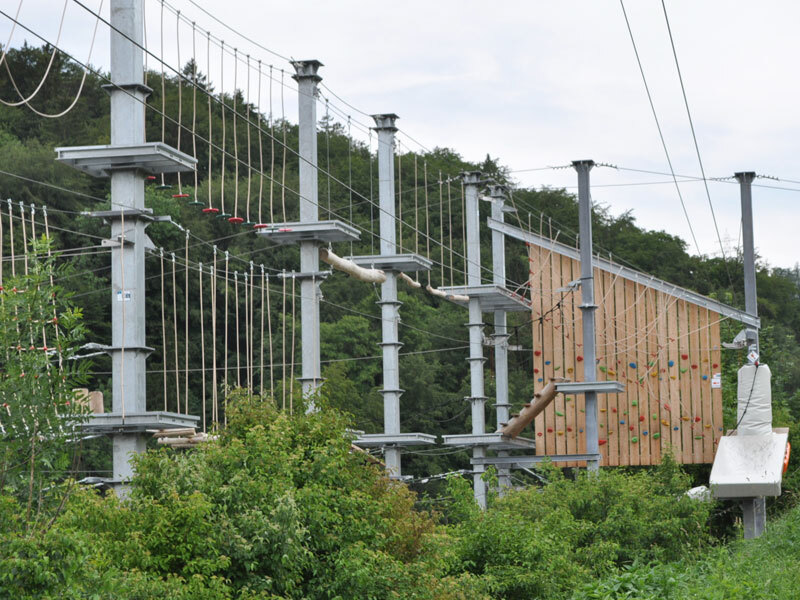 The high ropes course in Langenbruck, Switzerland has a main structure designed completely from steel, making it extremely long-lasting while reducing maintenance. 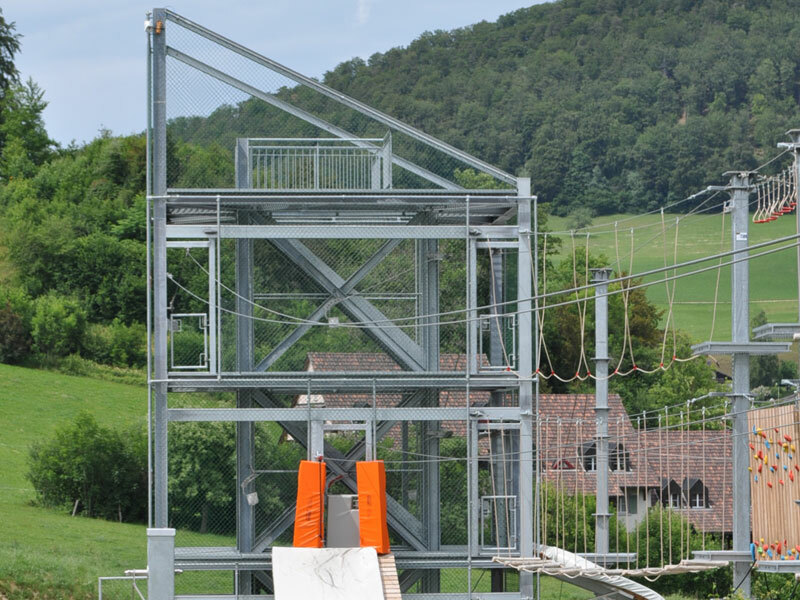 Climbers begin and finish at a central tower, easily changing from one parcour to the other. 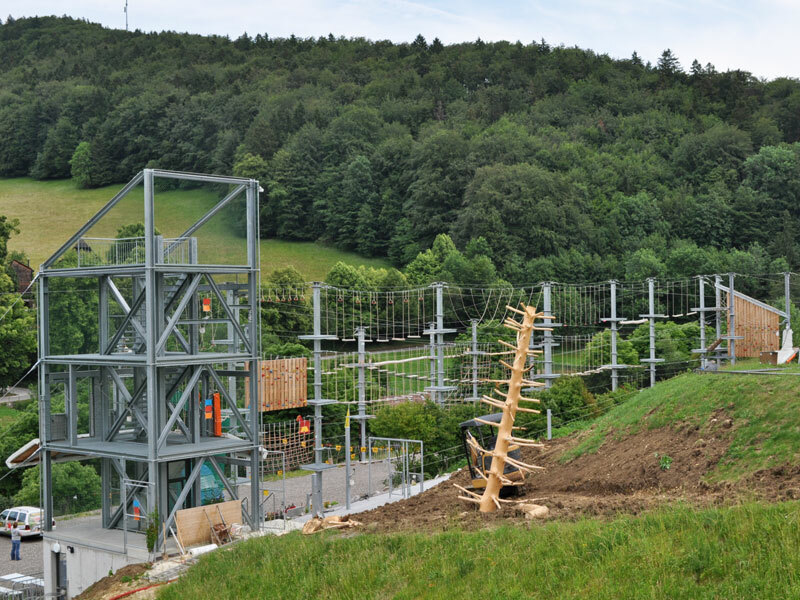 The parcours were designed with different difficulty levels while the individual exercises are arranged to provide variety. 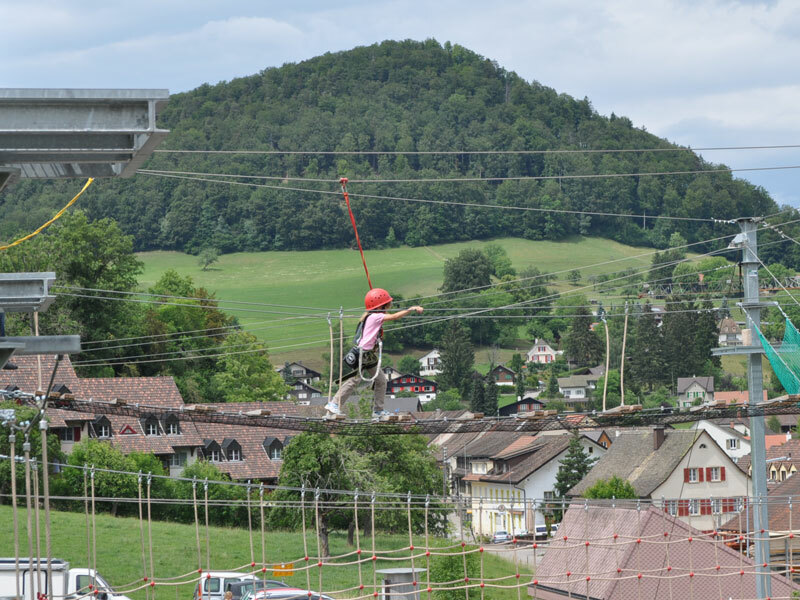 Because the participants are protected by the continuous safety-system EVO adventure (Bornack), five of the total seven parcours have been approved for children as young as 6 yrs. old, making the entire course suitable for families and schools.